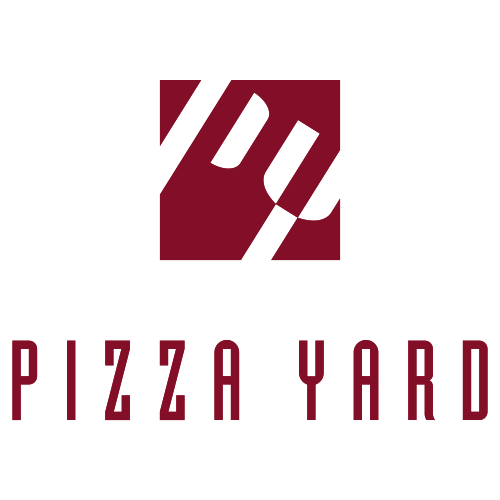 Pizza Yard is a contemporary restaurant serving a selection of indulgent pizzas, made to order with our superior dough. 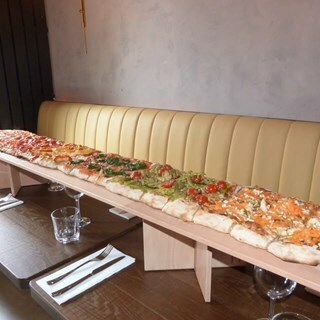 All our pizzas come in a 12-inch square size but for the ultimate food experience combine and share your favourites from the menu on a one-yard or two-yard long pizza. We also offer a selection of delicious hand-made pasta and other plated main course dishes. For parties of 9 or more people, please call 01 412 6278. Lovely place staff really friendly 2nd visit defiantly be back again. Ridiculous lack of toppings and no explanation why. This is an excellent restaurant.....friendly staff, great service and fabulous food. When I booked a table a couple of days before our visit I had a special request re the time of our sitting. The manager was accommodating and understanding which really helped. 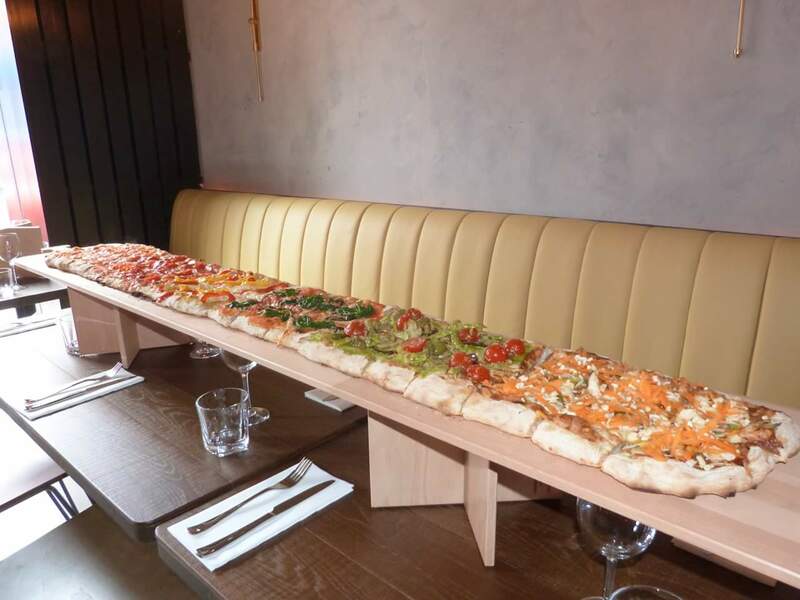 The food and service in Pizza Yard was great, our children were thrilled with the yard long pizza and Daniel even called to tell us we'd left a birthday card behind, which was so kind. It was a very quiet Saturday lunchtime when we went, but we'll definitely be back with adults to check out the evening atmosphere! Tasty  2 course meal for 2 using a Pigsback voucher. Lovely staff & good service. music and decor was pleasant. We thought the price of glass & bottle of wine was too high for here. Well done Pizza Yard, we will return. Nice pizza but was surprised to see a charge  for garlic mayonnaise (side order) on my bill. Same as charging for parmessan. Never encountered being charged for something like this. Left a sour taste to the meal. Highly recommend the food in Pizza yard. The pizzas were amazing and I could not fault the service. Food was great and it's a great spot for kids too. Visually environment and food were appealing. However food was bland, pizzas which is the stable of menu have an appealing selection. Base of pizza is reminiscent of a ciabatta but lacks seasoning and is a bit tough. Appetizers were not good value with what felt like scrimping and margin building. Tuna tartare was more avocado on toast. Price category put in a range of restaurants it is not made to measure against. Service was difficult to find on the floor, though staff were adequate. Great food, really good place to go with a big group especially when ordering the 2 yard! A good novelty! Amazing location too, if wanted to head to the pub Nextdoor after. An amazing dining experience!! Well worth a visit! Pizza is the best in Dublin. The crust and sauce are fantastic. We hosted a large staff Christmas party at Pizza Yard, the food and staff / service was excellent. Thank you!